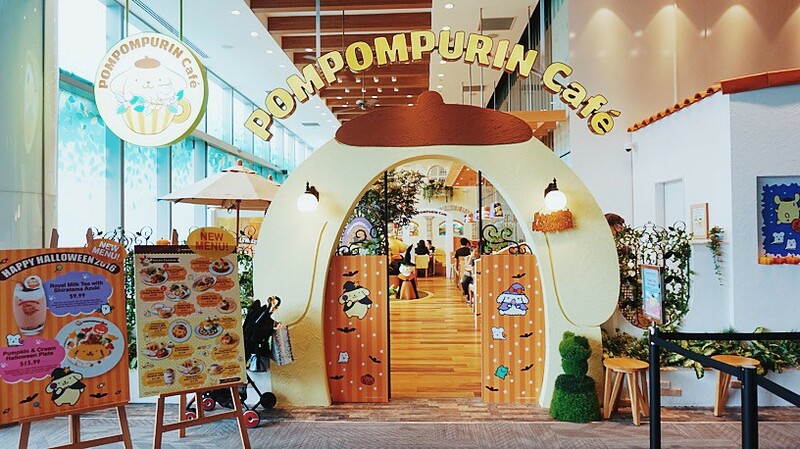 We were at Orchard Central awhile back for Tanuki Raw when we spotted this cute place called Pompompurin Cafe so we came back again another day to dine here for lunch! Just some photos taken at Lloyd's Inn. For my birthday this year, it was a simple affair which started with a family dinner the night before at the zhichar place near our house. 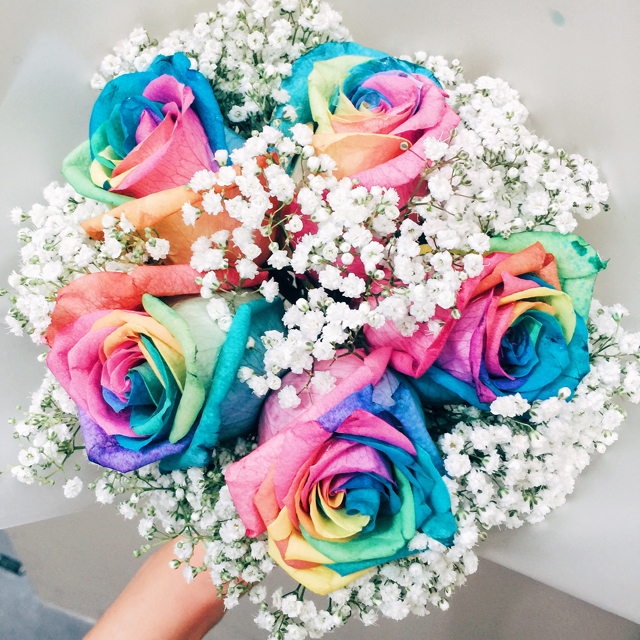 The next morning, I entered the office and saw this bunch of rainbow flowers on my desk without any card. I immediately asked bf "you gave me flowers ah". He said "Uh... What flowers?" -_- Afterwards I told him about needing to repair my phone because the screen broke and we discussed about where to repair. Then 2 minutes later he say, "Ya, flowers I send de" Hahaha. Last month, we went to Korea for our pre-wedding photoshoot and I have some behind-the-scenes photos to share before we get the official ones! I had never intended to go overseas for our pre-wedding shoot. I am not particular about the scenery or whatever. I just needed my face to look good, the background doesn't matter. Haha. 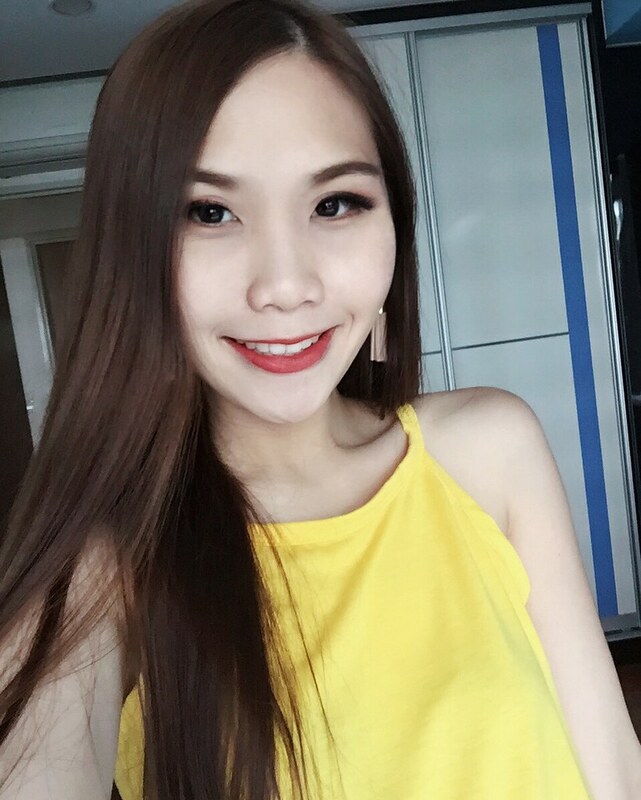 I was all ready to just have it done locally but bf suggested for us to go to Australia, since he is familiar with Perth. So we sort of decided on Perth but soon after, my family made plans to head to Melbourne in November. So I thought, why not just make it one trip, do the photoshoot in Melbourne instead of Perth. Then, the opportunity came up to have our shoot done in Seoul instead and we decided to just go and at the same time, visit Korea! 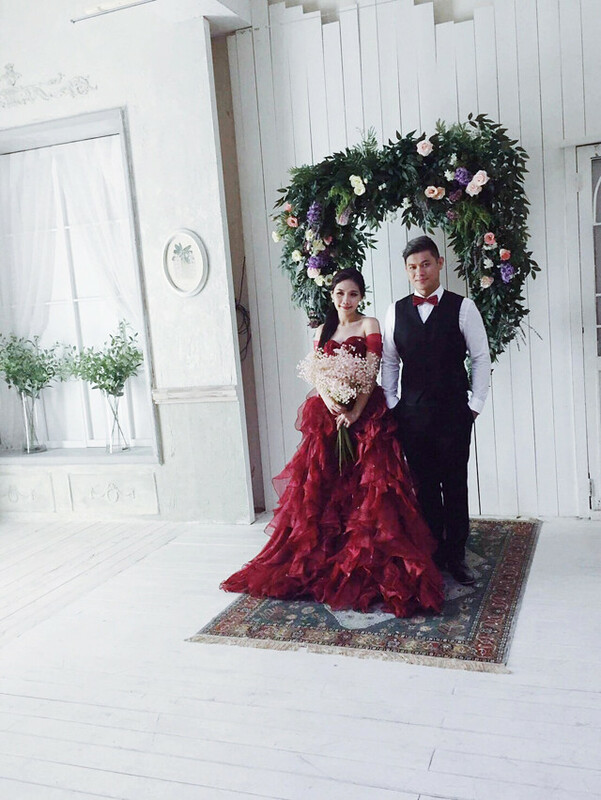 Although it's getting quite common for couples to have prewedding shoot done in Korea nowadays because of the recent trend, I'm very assured about the quality of their pictures! Within days, we got our air tickets and accommodation booked. Along the way, we decided to also have an indoor shoot done in Singapore and another outdoor shoot done in Melbourne - like what the original plan was supposed to be. I guess the style will be very different for all three shoots! You know what's the best thing about having our outdoor shoots done overseas? THE WEATHER. I am so glad we didn't have to bother about sweating buckets under the hot sun in Singapore. Because of the cool temperature in Korea, it wasn't as tiring as it would be if we had to deal with the heat. Glad that the weather is also going to be cooling when we have our shoot in Melbourne too! 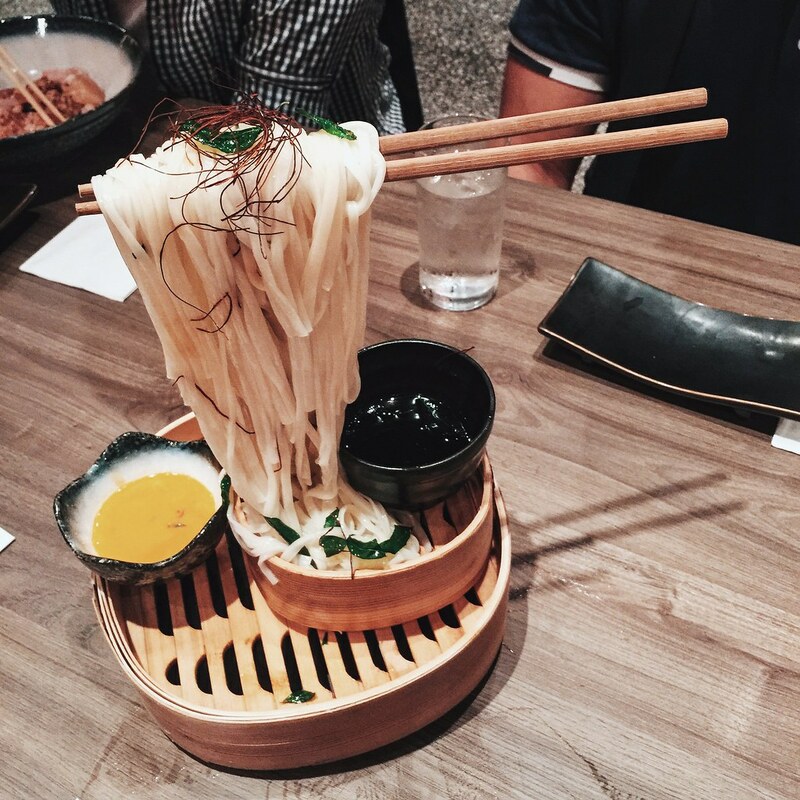 One random day bf sent me a link of a Japanese restaurant in Singapore that serves Flying Noodles! Although we both knew the trick behind it, we still thought it was quite interesting and decided to check it out the next day. We didn't have much to do that day so we got to Forum Shopping Centre quite early, around 5-ish. The restaurant was dark, empty, and had no queue so we asked one of the waitress and we were told to come back at 6pm. By the time we came back at 6pm, there was already a long queue! Do make reservations if you can, because the allocation of seats took quite awhile and the queue moved very slowly. The flying udon was quite disappointing as it was a little too bland for my liking. Also, I'm not fond of cold noodles so it was quite meh for me. But the rest of the dishes we had were very nice! Here are some recommended dishes to order if you visit Hana. 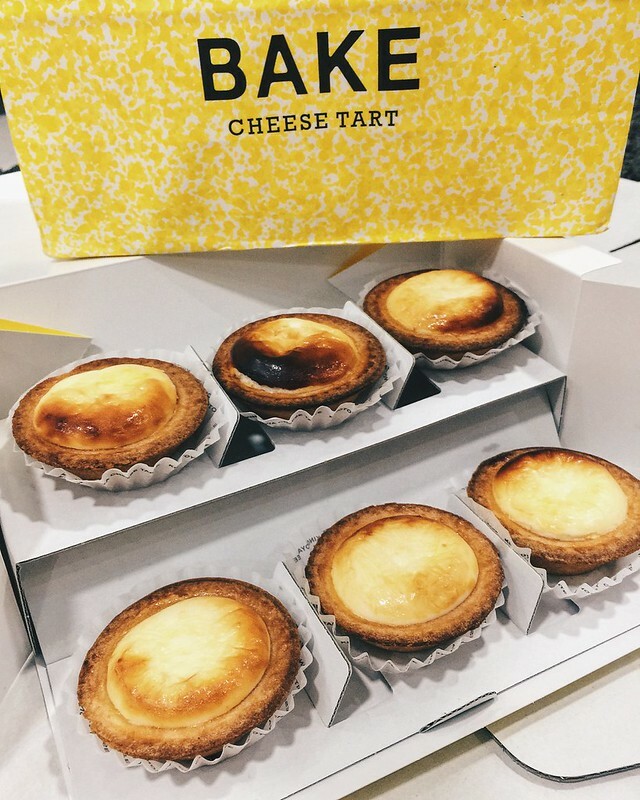 Craving for BAKE Cheese Tarts? I've always wanted to try the highly-raved BAKE cheese tarts but never had the chance to because every time I'm at Ion, the average waiting time in the queue is 2-3 hours. Nope, I'm not gonna queue that long for some tarts. Haha. So how excited I was when I suddenly remember I can use LaborMe app to get someone to queue for me! Previously I used the app to get Rich and Good Swissrolls because I was craving for it and the shop close before I end work. This easy to use app allows users to pay someone to run errands, do your chores, queue for tarts, etc. Basically, it's a perfect app for people like me who rather pay for convenience and save precious time. 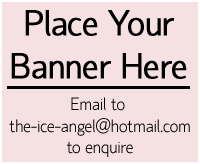 Alternatively, people who have some free time can sign up as a tasker to earn some extra cash in their free time! 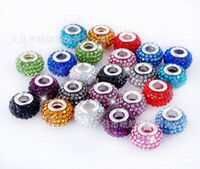 I keyed in my details and within 2-3 hours, I got two boxes delivered to me - One for my family and another for bf. We had it for supper and IT WAS SO GOOD, I regretted getting only 6 pieces. I now know why the queue is so long. The tarts are fragrant and the cheese is so smooth. It wins all the other cheese tarts I ever had in my life. Still, I probably wouldn't queue 2-3 hours for it so I recommend to use the app instead. So far the LaborMe app has been nothing but awesome! There is a list of featured food delivery options (including Tai Cheong Egg Tarts, Hill Street Tai Hwa Pork Noodle, etc) so you can look out for some recommendations, or just create a task and order from your favourite stall anywhere! 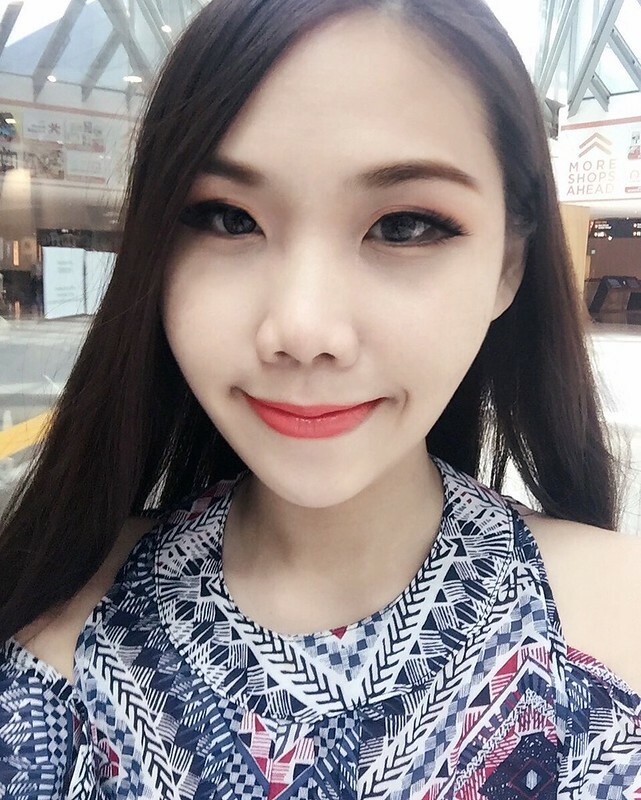 Got my braces removed just in time before my pre-wedding photoshoot! It has been two years since I first had braces, and I'm glad to finally have them off! Except for times when I had to have rubber bands on, most months were painless so it was a breeze. I could still eat all my favorite food within two days after each time I get my braces tightened. Best thing is, ceramic braces aren't very obvious in photos unless they are close up selfies. And you know what? IT WAS SO WORTH IT!!!! I didn't have very crooked teeth at first but because it was protruding, I had a very ugly side profile which made all my candid photos look horrible. Also, I was unable to smile without showing my teeth. Can you imagine how ridiculous that was? I could only "not smile" or "smile brightly". No in-between. You know how sometimes in the office you pass by your colleague and you give a polite tiny smile? I wasn't able to do that without looking like some ahsiao ready to take a photo. Haha. I can do that now! 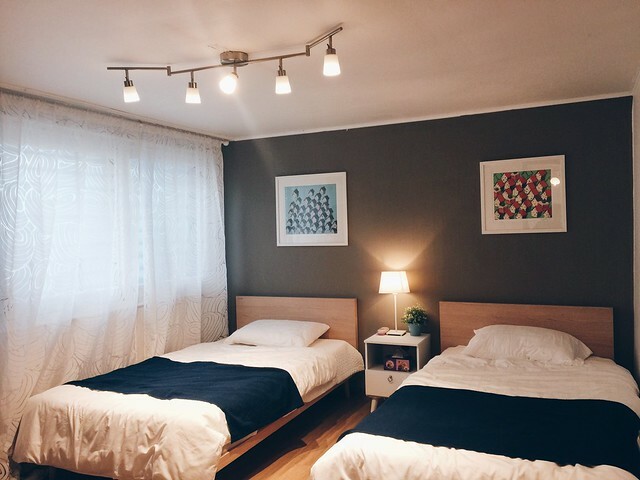 I've always opted to stay in hotels on my previous travels and last month, I finally had my first airbnb experience while on a trip to Korea with bf and my mum! The exciting part was looking through the listings. So many pretty apartments in Seoul! If you are new to airbnb like me, there are mainly three types of airbnb you can book. We chose the first option mainly because we didn't want to compromise on having our own space or feel obliged to interact with the host and other guests. For privacy, we booked a two-bedroom apartment, so that me and my mum can stay in one room while bf stays in the other. There are also many other 3-bedded studio apartments at better prices, quite suitable for all-girls entourage or families! 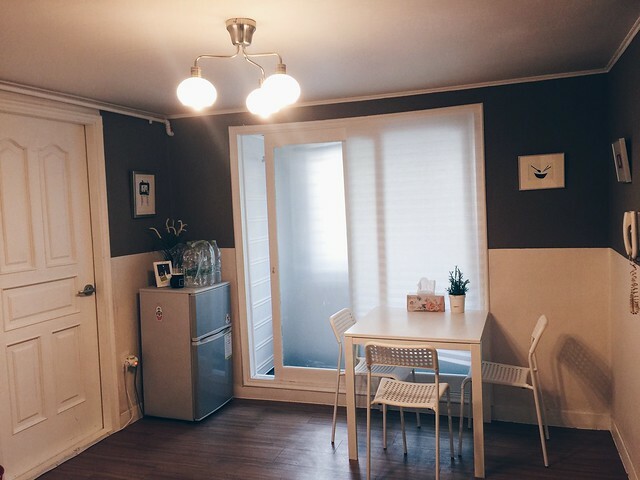 The apartment we chose is located at Gangnam area, within walking distance to Hak-dong Station. Before booking, remember to check the description, reviews, and ask some questions. Our host happened to have three similar listings in the same area and we almost booked the one on 5th storey before we got to know that the building had no lifts. In the end, we booked this one which was supposedly at the first level but she told us there are some stairs leading up to the apartment. So we thought, how high can it be right, since the apartment is on the first level.... We were so wrong.... The night we arrived, bf had to lug our heavy luggage up a long flight of staircase, and then down another short one to our apartment. It was definitely a longer climb than our usual HDB staircase... probably equivalent to 2.5 storeys worth of stairs? haha. And the staircase has no railings for support.... I wonder how the elderly in Korea do it. Anyway, when we arrived at Incheon Airport, we got approached by some guys who offered to drive us and quoted us 120,000 won. That's almost SGD150!!! We were shocked but they pointed to a brochure which had "fare to Gangnam: 110,000 won" printed on it, so we thought it was market price and took it. Afterwards on the way to our apartment, I messaged my friends and they all say it's too expensive. 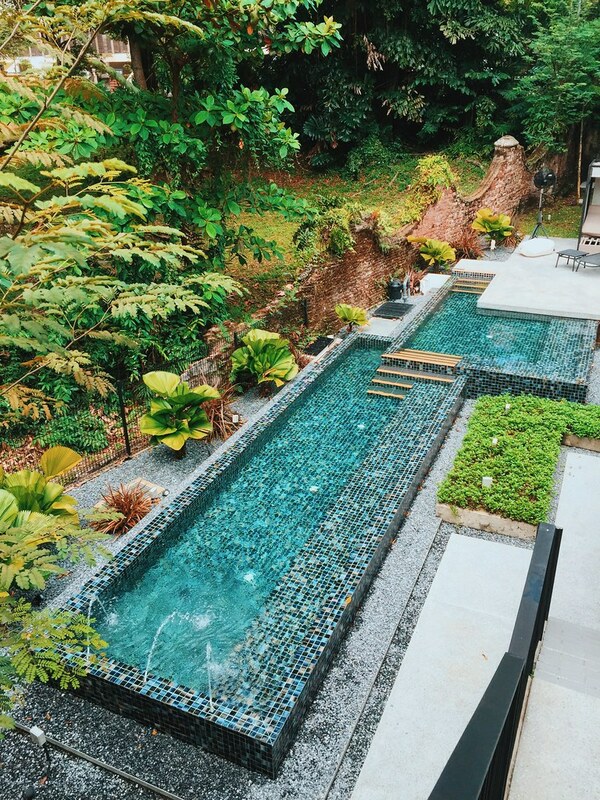 Usual rate should be around SGD70. Aiya too late. No wonder the driver looked at the money and laughed to himself when my bf paid him. Oh well, at least we got to our destination! It was night time when we reached and the building was pitch-black. The sensor light in the corridor would only lit up upon vigorous movement, so we fumbled with the lock using our phones as torchlight. We took quite awhile because we kept pushing the door when it's supposed to be pulled. Hahaha. Upon entering, you see the living room with dining table for three, bf's room on the left and mine on the right. Shared this room with my mum! I liked how the furnishings are simple and modern. 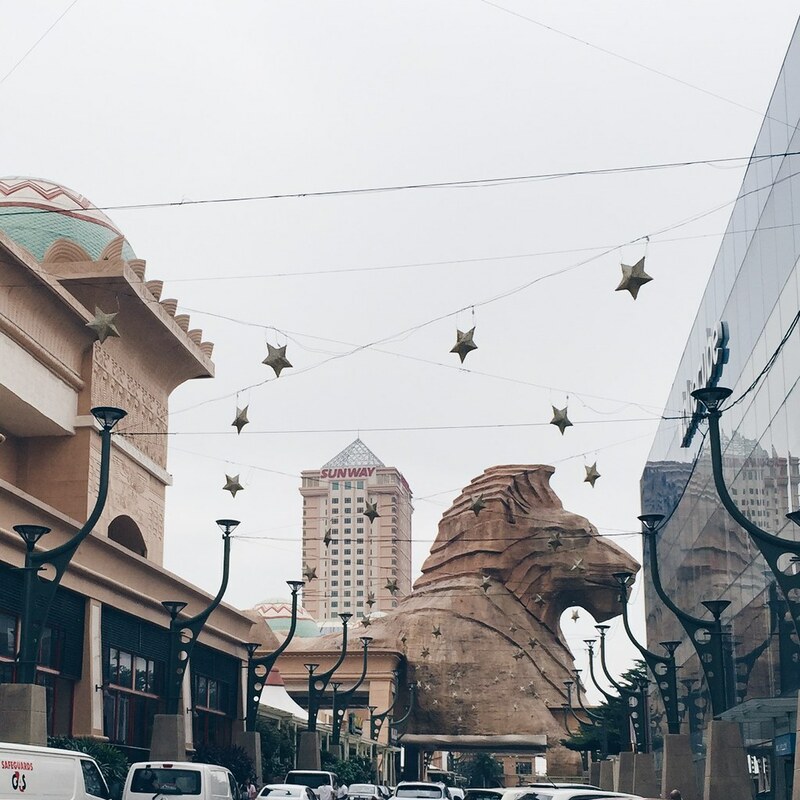 We were at KL earlier this year and visited Sunway Pyramid because we've never been there!